Aspiring to drive the economy of Johor and Malaysia, Country Garden Malaysia has outlined eight core pillars of industrial components in its Forest City development in Iskandar Malaysia, Johor. They are Tourism and Meetings, incentives, conferences and exhibitions (MICE); Healthcare; Education and training; Green and smart technology; Regional headquarters; Near-shore finance; E-commerce; and Emerging technology. Within three years, Forest City has already embarked on the first four and created more than 10,800 job opportunities. 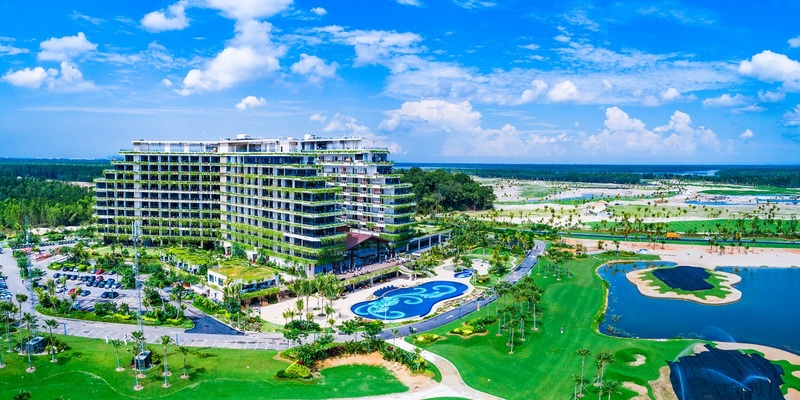 In the western corridor of Johor, Country Garden is the first developer to build five-star hotels: Phoenix Hotel and another hotel in the RM1.8 billion Forest City Golf Resort, which features tri-golf courses. Designed by one of the greatest golfers in the USA, Jack William Nicklaus and his son, Nicklaus II, the first golf course offers a unique “desert-style” range peppered with palm trees, sand mounds and tropical greenscapes. Named Legacy Golf Course, it recently hosted the World Amateur Golfers Championship (WAGC), attracting as many as 350 players, along with 100 non-golfer participants including Swedish royalty. The iconic resort is enveloped within a rich landscape of river and greens. The hotel is housed within two blocks of 11 storeys each, with a ballroom for up to 400 pax. Catering to the MICE industry, it has been attracting countless event attendees especially from Singapore. Forest City currently has 50 outlets in a dedicated commercial district, of which 80% are by Malaysian SMEs. Among them are local affordable food choices like Marrybrown and PappaRich. In addition, its collaborations with Grab and GoCar reflect its strong advocacy for the sharing economy. Its next phase will see a 45-storey commercial complex comprising five levels of shopping mall, 12 storeys of serviced apartment and 25 floors of offices. In line with its sustainable concept, Forest City will develop an eco-tourism plan which includes a mangrove park, culture leisure street, healthcare centre and many more. “We believe the eco-tourism will bring about positive spillover impact on the economic development of the Johor state,” says Country Garden Director of Strategy Ng Zhu Hann. In line with the government’s vision to build up the nation through education, Forest City has set up Shattuck-St Mary’s International School (SSM), which will strengthen Iskandar Puteri as an international learning hub. Marking a new milestone in the USA-based school’s 160-year legacy, SSM is its first global campus. The 9.4ha eco-friendly campus offers a holistic American-style programme, focusing on STEAM (science, technology, engineering, arts and mathematics) education from pre-kindergarten to Grade 12. Besides smart classrooms, science laboratories and expertly-supervised boarding provisions, the school is fully equipped with world-class facilities to help students discover their full potential in athletics, theatre, dance, music, robotics and more. With all the elements in place, Country Garden Pacificview (CGPV) Sdn Bhd did Malaysia proud when it won the coveted Global Model of City-Industry Integration Award at the 2018 Sustainable Cities and Human Settlements Awards (SCAHSA) in Bangkok recently. This is the third time Forest City has been recognised at the prestigious international event, having garnered the Global Model of Green Building Industrial Park Award last year and Planning and Design Award in 2016. “Building a sustainable green and smart city is the future of urban development. 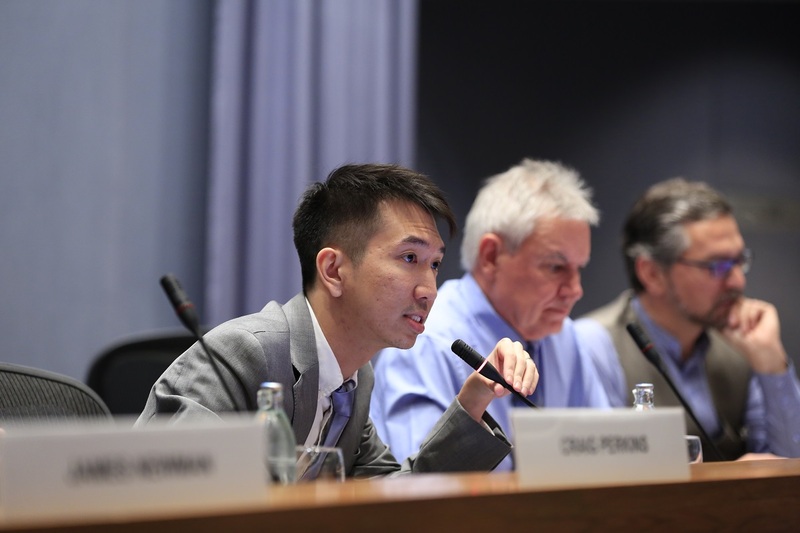 Rapid urbanisation poses many challenges but concurrently, scientific and technological revolution presents great opportunities in urban planning and development for the generations to come,” Hann stresses. In line with the Malaysian government’s vision to accelerate Industry 4.0 adoption in the country, Country Garden is ready with an Industry Integration Blueprint 2020 to attract high-tech companies to set up their advance manufacturing facilities in the 417-acre Forest City industry park.